With sad hearts and tears, we said good-bye to Bob on the evening of January 25th, 2019. He was born May 12, 1949 at the Royal Columbian Hospital in New Westminster to Harold and Nellie Wulff. 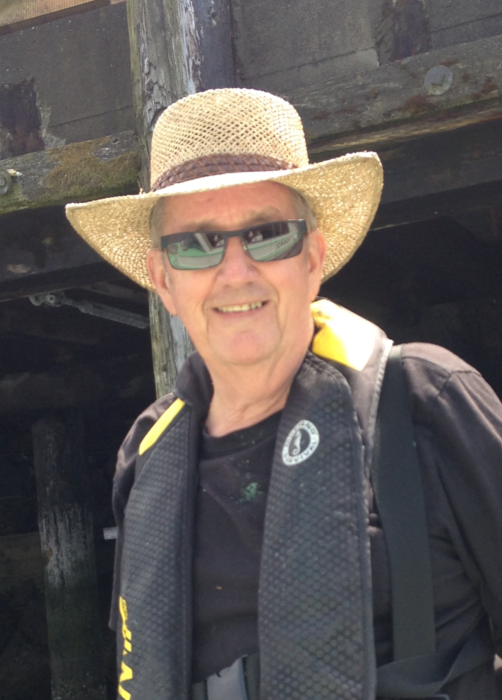 Bob was on the water for most of his life as a commercial fisherman or cruising the world. He fished his gillnetter "KONRADINE" the summer of 2018 with Darlene. He was a Lions Club member for over 37 years and had the first meeting of the Protection Island Lions Club at our home. He was President of the Cedar Lions Club for 2018. Bob had been a volunteer firemen on Protection Island, a member of the UFAWU, and had been a member of FAT FREDDY's Truck Club. Bob only owned North American vehicles and had enjoyed his time restoring 50's Chev trucks. He was a man of many talents, from woodwork to boat building, and even lead glass art. He had a good eye for "level" and straightened many wall pictures. Bob volunteered his time for community projects, or just helping out people. Many know him for his perfect pancake mix, and he always brought his special drill and bucket. Survived by wife and fishing partner Darlene, sister Donna/Don, brother Harold /Teri, mother-in-law Olimpia, his daughter Leanne/Darcy, son John/Brandon, son Jeremy, Samantha, several grandchildren, as well as numerous nieces, nephews, cousins, brothers and sisters in law and all their extended families. no flowers please. Donations to a worthy cause in Bob’s name will be announced at the Celebration and envelopes will be provided. His LIFE was filled with family and friends, on land and on the water, and he was so thankful.